Reader comments can be switched on and off for a whole publication, for a particular Article Type, or for each individual article. 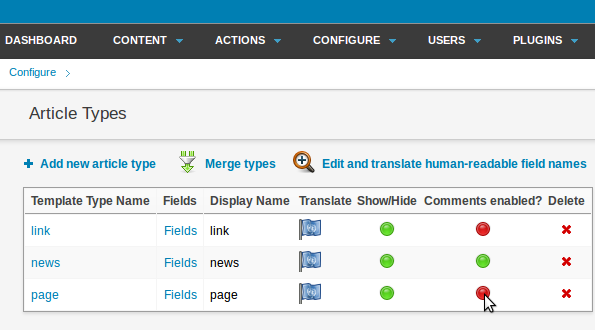 You can also take advantage of Newscoop's management features to moderate comments from subscribers, or members of the general public. To set the default comment setting at the publication level, go to Content on the main navigation menu, and then click Publications. In the Comments enabled column of the Publication List page which appears, publications in which readers can post comments are shown with a green light icon. 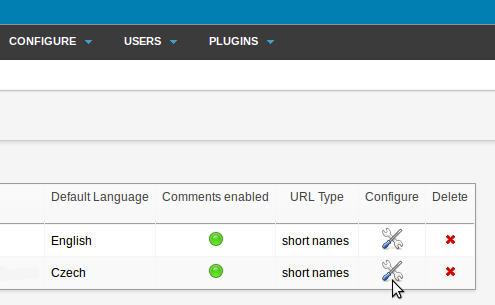 Click on the Configure icon for the publication you wish to enable or disable comments for. 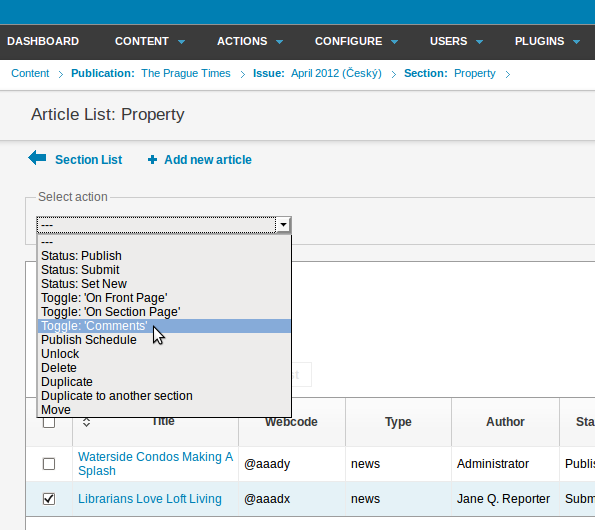 This action opens the Configure publication page. In the Comments section, there is a checkbox labeled Comments enabled? 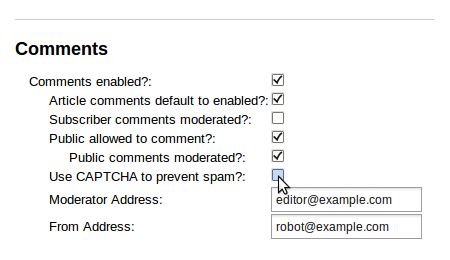 and a variety of options which enable you to fine-tune comment settings.